Why are we so obsessed here with better product design? Isn’t every product pretty much optimized by its manufacturer for the “best” design? I don’t think that is even close to being true for the simple reason that the manufacturer has blinders on. She has her goals and she designs to achieve them. But other people have a different set of goals. I am going to use a common product to illustrate what I mean. I bought a simple backbrush to use in my shower. 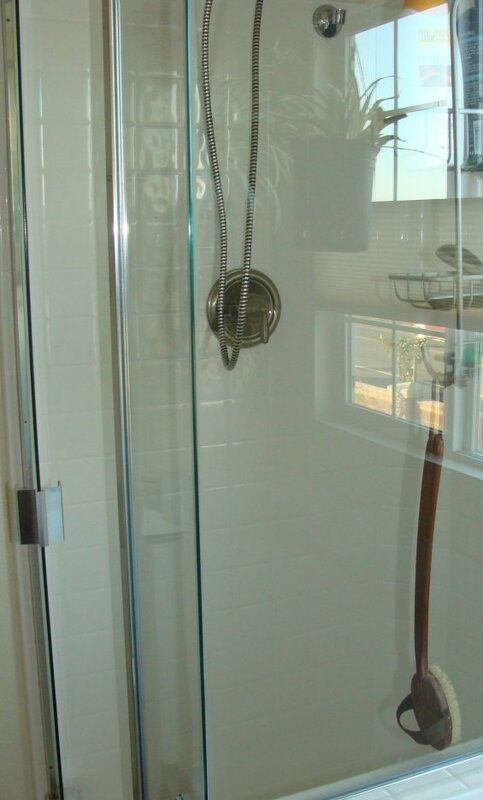 It costs five bucks at Pier One and is well designed to reach over to your back in the shower and rub-a-dub-dub. So what more could I want? She designed a nice soft bristle in a controllable head and added a long handle to put the bristles where they would do the most good. So far so good! But notice what the emphasis is: A freestanding product doing a self-contained job. Is that the way the brush is going to be used? Well, not entirely. If you think about it, the brush is going to be used in a context. A surroundings. It turns out that the surroundings can put a demand and constriction on the brush that the designer probably never thought about. 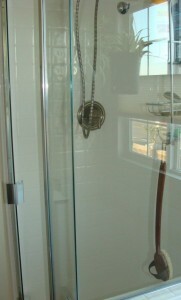 The picture shows the brush hanging in a glass enclosed shower. And what do we know about glass? It can be a bit fragile. You don’t want to hit it with a hammer. Nor do you want to be merrily brushing away with your new brush and bang the end of the handle hard into the glass. This is easy to do while you are focusing only on the brushing job itself. It can be scary. What is to be done? Do I have to step out of the shower to use the brush? Or walk around with a scaly back that never gets brushed? Or could there be a soft guard on the end of the handle so it can’t break glass? That would be a design feature that was left off the original brush. Not too hard to add, but not something you would think of while focusing only on the brushing function. In a similar way, designers never think about what will happen when part of their product wears out or breaks or becomes obsolete. If they think about it at all, it is just to assume that it will be discarded into a garbage can like everything else in this wasteful society. What wears out first? In my experience, it’s the bristles, which also happen to be the cheapest part. So how could the brush be designed to make the bristles easy to replace. Right now they are forced with some kind of specialized machine into holes in the wooden head. Is there a way to force in new ones? Or a different way to hold the bristles in place? I have seen other designs that use a cover over the wooden head which has holes in it for holding the bristle bundles. If a bundle wears out or breaks, another can be inserted by lifting the cover. The bristle bundles can come as an intended repair with ten bristles secured by a dab of glue at the end creating one bundle. 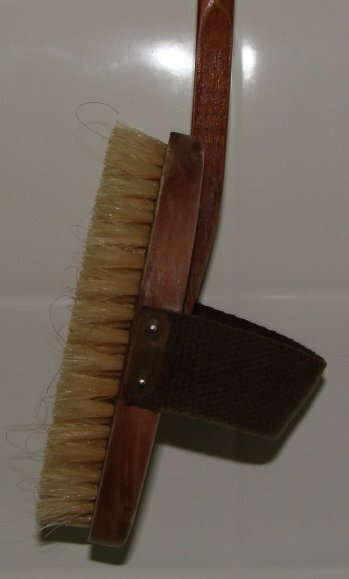 The bristles could be a natural protein such as hog bristles, so that the brush can be composted if and when it breaks so badly there is simply no way to repair it. 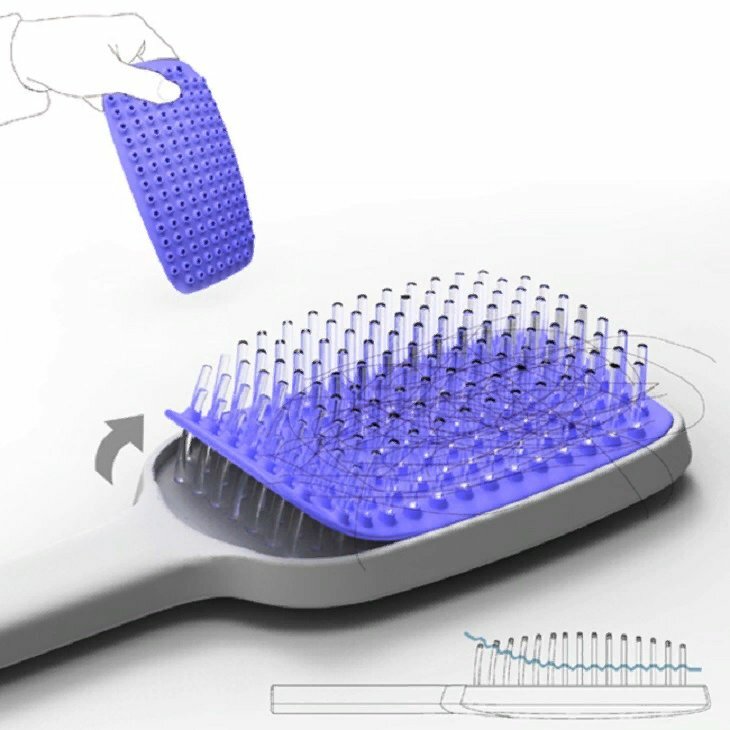 Meanwhile, it turns out that a similar new design is being offered for a far less significant purpose – just to make it easier to remove the matted hair from a hairbrush. Naturally this kind of design is not thought of for its effect on the life of a brush. Ah, well, at least we have some guidance when it comes time to get serious about the Zero Waste of brushes.